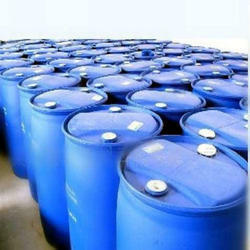 Our range of products include decoloring liquid. Water Decoloring Agent that has the ability to remove any form colour from dye wastewater. By providing a large number of cations, the negative charge is brought on dye molecules which neutralized instability and at the same time with BWD-01 Water Decoloring Agent performs the hydrolysis of flocs. The product adsorbs dye by destabilizing the snare from water separation, so as to achieve the purpose of bleaching. Water Decoloring Agent offers high performance against the dyeing wastewater containing the hydrophilic dyes (reactive dyes, acid dyes, disperse dyes etc.). Even with minimal dosage, the product offers clear colour removal at a faster time period. The product also offers a high processing liquid clarification of the settlement, reduces the composition of COD, and improves the COD removal rate. To reduce the costs of color wastewater treatment, the use of polyaluminium chloride together will reduce the dosage of BWD-01 Water Decoloring Agent. The product is soluble in water, safe, non-toxic, can be stored at room temperature. Avoid contact from direct sunlight. This product is slightly acidic by nature. Therefore, wash immediately with plenty of water when met with direct contact with the skin. Looking for Decoloring Agent ?